A chance to use a hexagon die should never be overlooked! Supplies: Stamp – Lawn Fawn, paper – American Crafts Amy Tangerine Oh Happy Life, Neenah Classic Crest Solar White, Stampin’ Up! Island Indigo, ink – VersaFine Onyx Black, die – Lifestyle Crafts, embossing powder – Filigree Fine Art Powder clear. Categories: card, encouragement, thinking of you | Tags: American Crafts, Amy Tangerine, Lawn Fawn, Lifestyle Crafts, Neenah, Oh Happy Life, Stampin' Up!, Tsukineko, VersaFine | Permalink. I am working on thank you note card samples (red, white, blue, nautical feel), and thought I would use the theme to make a few other cards. Supplies: Stamps Papertrey Ink, Taylored Expressions, paper – Neenah Classic Crest Solar White, Stampin’ Up! Night of Navy, Pacific Point, Real Red, Stardreams Silver, ink – Papertrey Ink Fresh Snow, VersaFine Onyx Black, dies – Lawn Fawn (stitched rectangles), Lifestyle Crafts (large anchor), My Favorite Things (small anchor, pierced rectangle), Taylored Expressions (banner), embossing folder – Darice, embossing powder – Filigree Fine Art Powder clear, white, twine – Stampin’ Up! Categories: birthday, card, note, thanks, thinking of you | Tags: card, Darice, Lawn Fawn, Lifestyle Crafts, My Favorite Things, Neenah, Papertrey Ink, Stampin' Up!, Taylored Expressions, Tsukineko, VersaFine | Permalink. 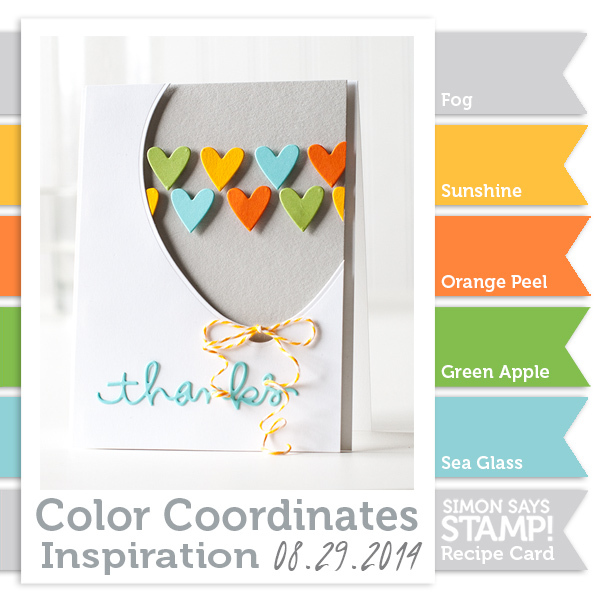 Last week, the Simon Says Stamp blog posted a Color Coordinates recipe that struck my fancy. But I digress! Back to the card! Supplies: Stamp – Stampin’ Up!, paper – Papertrey Ink White, Stampin’ Up! 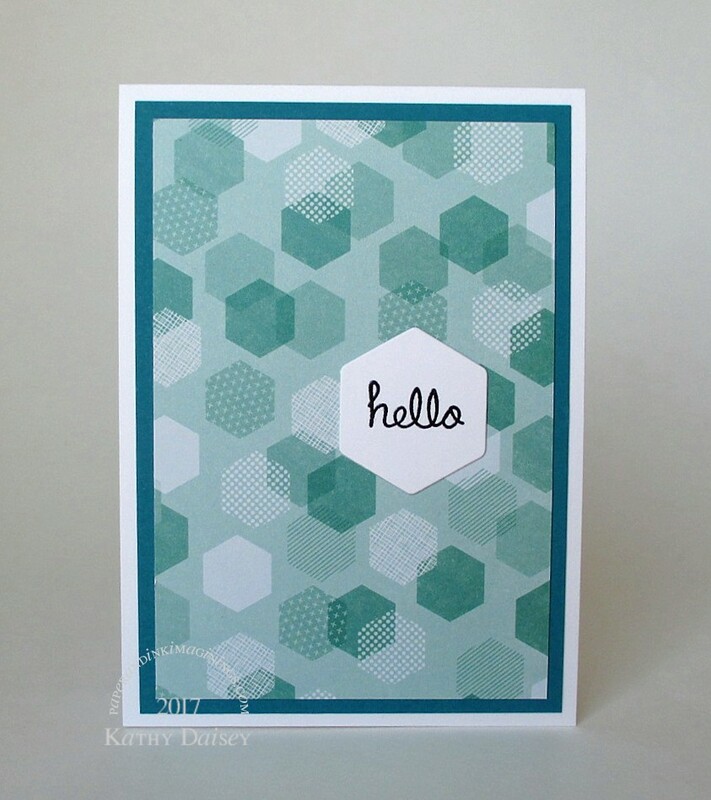 Basic Gray, Crushed Curry, Green Galore (retired), Pumpkin Pie, Smoky Slate, Tempting Turquoise, ink – VersaFine Onyx Black, dies – Lifestyle Crafts (hexagon), Papertrey Ink (word), Stampin’ Up! (banner), enamel dots – Stampin’ Up!, embossing powder – Filigree Fine Art Powder clear. 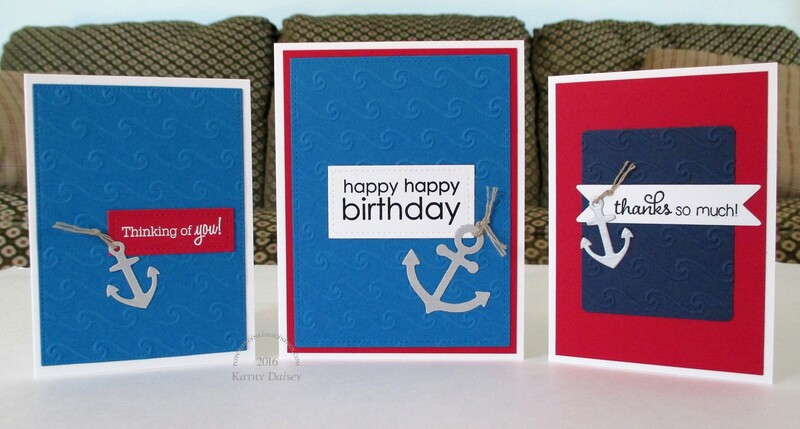 Categories: birthday, card | Tags: card, Lifestyle Crafts, Papertrey Ink, Stampin' Up! | Permalink. The latest Runway Inspired Challenge (ric#65) is here! 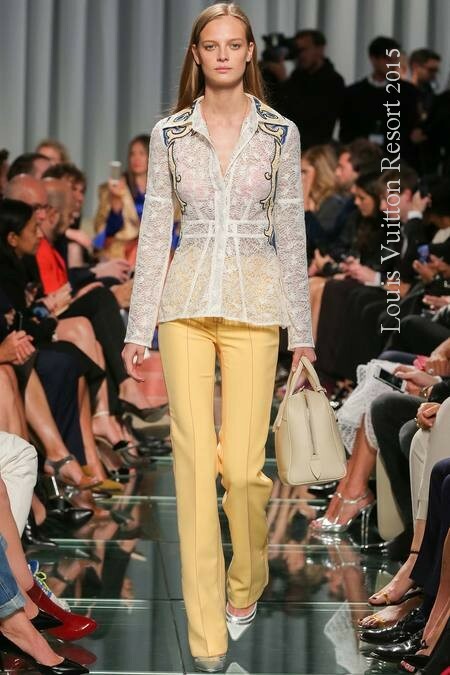 I was inspired by the lace blouse, and the colors. I embossed in white on cream cardstock. I cut a doily out of Night of Navy cardstock, then cut a rectangle tag out of the doily to make the layer behind the sentiment. I did debate adding crystals or enamel dots, but thought it was better left unembellished. I can’t think of Louis Vuitton without thinking of the movie “Leap Year” – Anna (Amy Adams) had a Louis Vuitton suitcase, and Declan (Matthew Goode) called it “Louis”. I can’t find my favorite clip about the suitcase, but this one will do just fine. Supplies: Stamps – Papertrey Ink, Stampin’ Up!, paper – Neenah Natural White, Stampin’ Up! Barely Banana (retired), Night of Navy, inks – Papertrey Ink Fresh Snow, VersaFine Onyx Black, dies – Lifestyle Crafts (doily), Spellbinders (rectangle), embossing powder – Filigree Fine Art Powder clear, white, organdy ribbon – JoAnn’s. 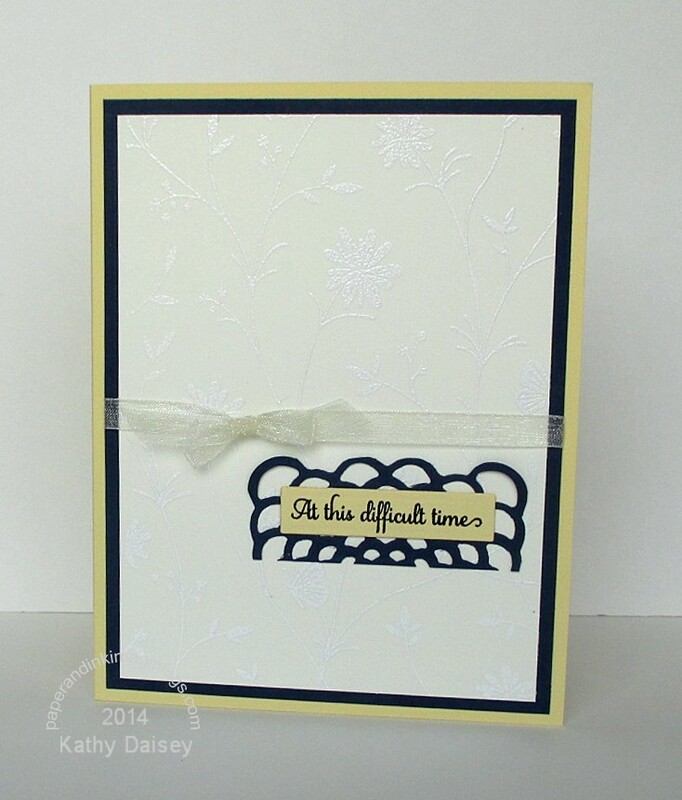 Categories: card, sympathy | Tags: card, Lifestyle Crafts, Neenah, Runway Inspired Challenge, Spellbinders, Stampin' Up! | Permalink. Offspring2 needed a birthday card for a friend this past weekend, and asked Offspring3 to aid in the process. I always love to see what they create when they use my tools and supplies! Supplies: Stamps – Stampin’ Up!, paper – Papertrey Ink White, Stampin’ Up! Basic Black, Bermuda Bay, inks – Stampin’ Up! Bermuda Bay, VersaMark, dies – Lifestyle Crafts, embossing folder – Provo Craft, embossing powder – Stampin’ Up! Silver Detail Powder. Categories: birthday, card | Tags: card, Lifestyle Crafts, Papertrey Ink, Provo Craft, Stampin' Up! | Permalink. Happy belated Administrative Professionals Day! I try to not post cards before they are presented, I don’t want to spoil the surprise. I had a friend ask for a set of cards for Administrative Professionals’ Day. She told me they could all be identical, but, as you know, I have difficulty with that! I made them all similar (quilted style), and all of them had the same sentiment. Supplies: Stamp – Stampin’ Up!, paper – Basic Gray, Echo Park, My Minds Eye, Papertrey Ink White, Pebbles, Stampin’ Up! Almost Amethyst (retired), Always Apricot (retired), Baked Brown Sugar, Chocolate Chip, Going Gray (retired), Pumpkin Pie, Real Red, Real Red Co’ordinations, Regal Rose (retired), Rich Razzleberry, River Rock (retired), Sage Shadow (retired), Soft Sky, So Saffron, inks – VersaFine Onyx Black, Vintage Sepia, dies – Lifestyle Crafts (hexagon), Spellbinders (all tags, large square), Taylored Expressions (stem silhouette), embossing folders – Provo Craft, square punch – Stampin’ Up!, sequins – Doodlebug Designs Inc, button – Stampin’ Up!, jewels – EK Success Swarovski Elements, organdy ribbon – JoAnn’s, ClearBags (narrow silver), linen thread – Stampin’ Up!, baker’s twine – We R Memory Keepers, embossing powder – Filigree Fine Art Powder clear. Categories: card, thanks | Tags: card, Doodlebug Design Inc, Lifestyle Crafts, Papertrey Ink, Provo Craft, Spellbinders, Stampin' Up!, Taylored Expressions, We R Memory Keepers | Permalink. 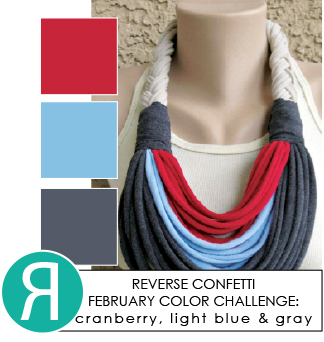 The colors in this month’s Reverse Confetti February 2014 Color Challenge are cranberry, light blue, and gray. 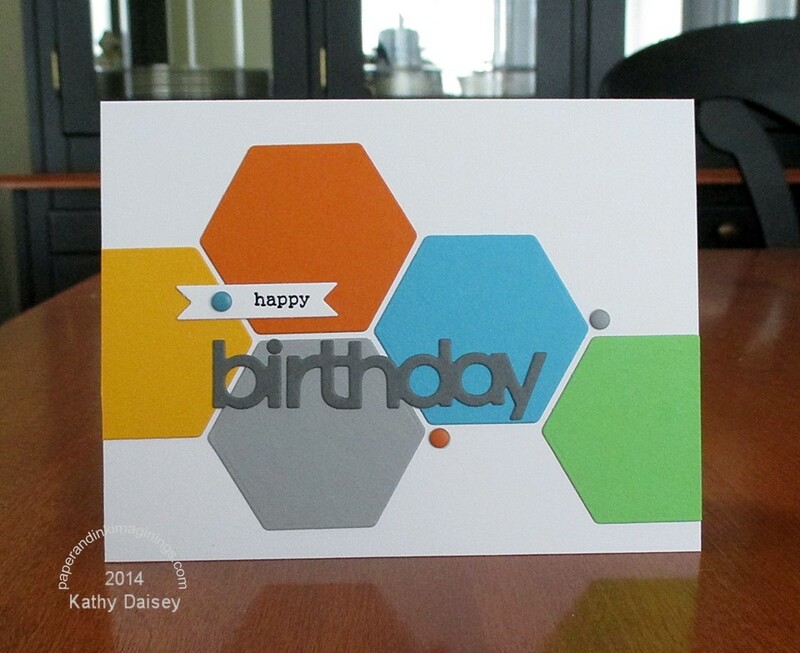 I also incorporated hexagons, I will be submitting this into the current Moxie Fab Happy for Hexagons Challenge. Supplies: Stamp – Reverse Confetti, paper – Bazzil blue, Papertrey Ink White, Stampin’ Up! Basic Gray, Cherry Cobbler, Smoky Slate, ink – VersaFine Smoky Gray, dies – Lifestyle Crafts (hexagons), Reverse Confetti (tag), embossing folder – Provo Craft, embossing powder – Filigree Fine Art Powder clear, gingham ribbon – Stampin’ Up! (retired). Categories: card, thanks | Tags: card, Lifestyle Crafts, Moxie Fab Challenge, Papertrey Ink, Reverse Confetti, Reverse Confetti Challenge, Stampin' Up! | Permalink.